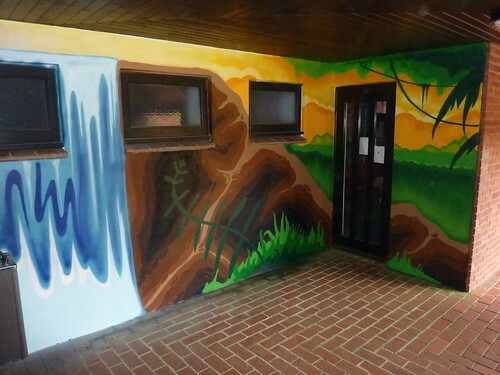 During the summer break the TMAschool had lots of interior improvements made to the school. This included some visual decorations by myself here at arkadegraphics. 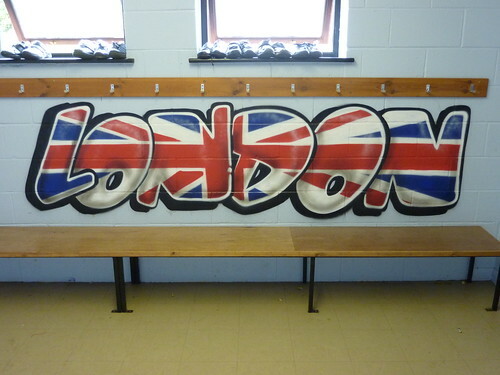 Changing room decor consisted of names of cities that have hosted Olympic games . . . . . 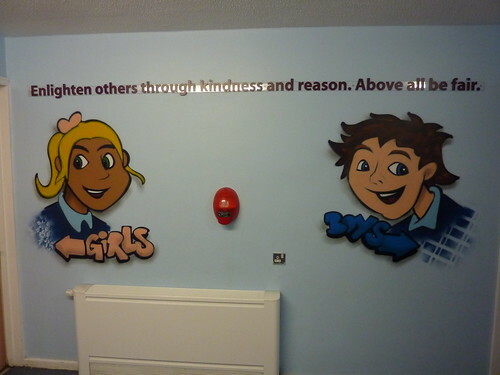 Boys and girls toilets indicated with lettering and cartoon children. . . . . 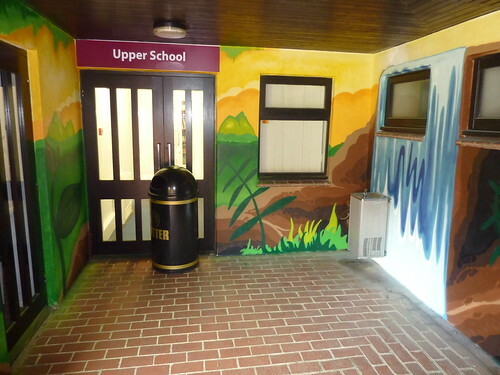 There are other bits around the school which i will add on at a later date. 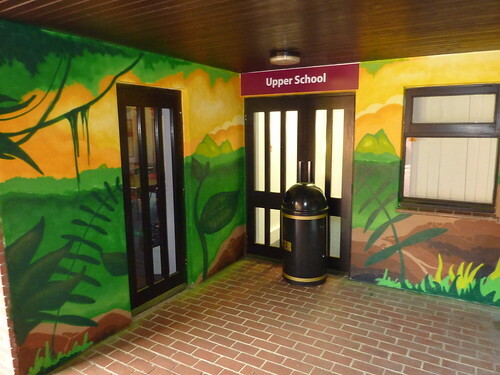 The modern style of the decoration seems to have made the children excited to be back in the school environment and were hoping it will make them treat the school building better and have even more pride in their school.